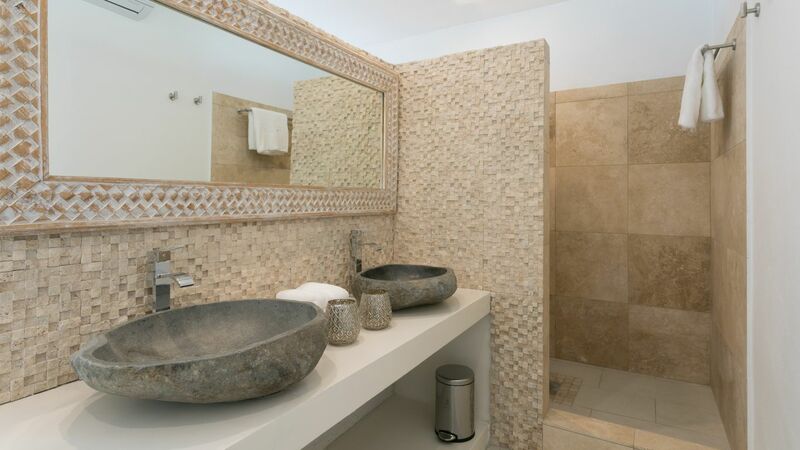 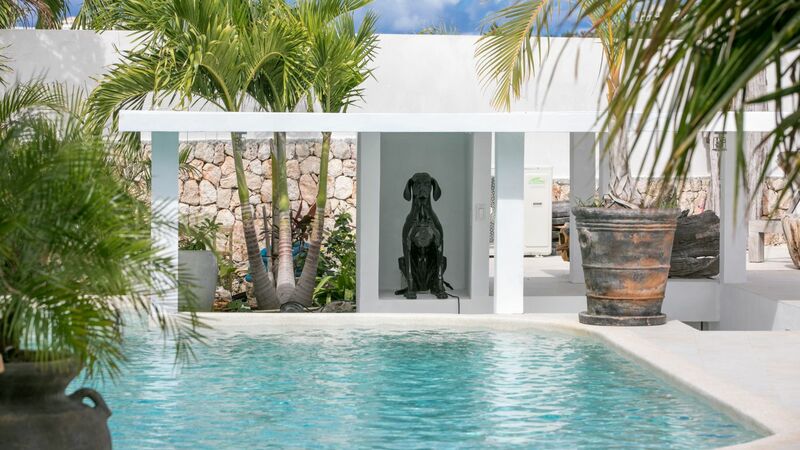 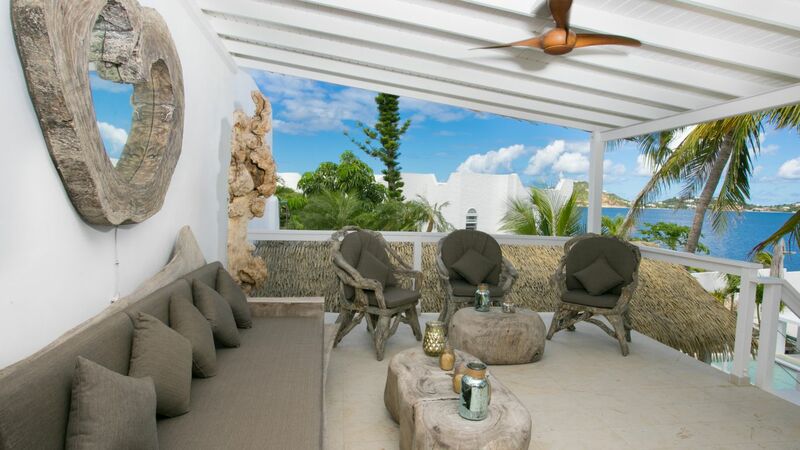 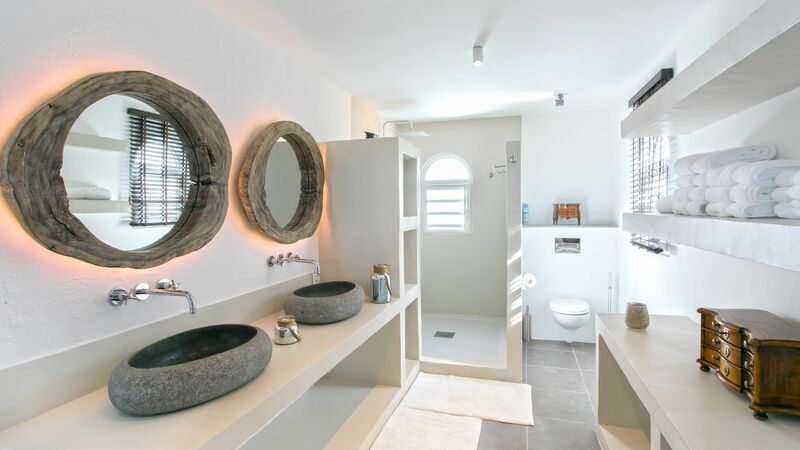 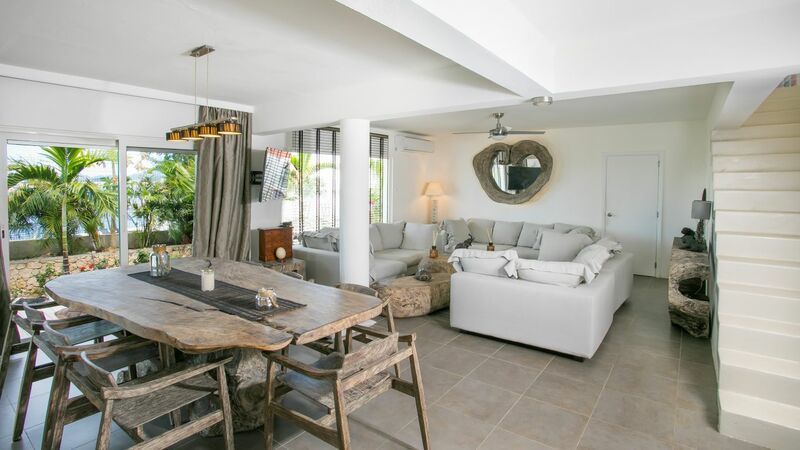 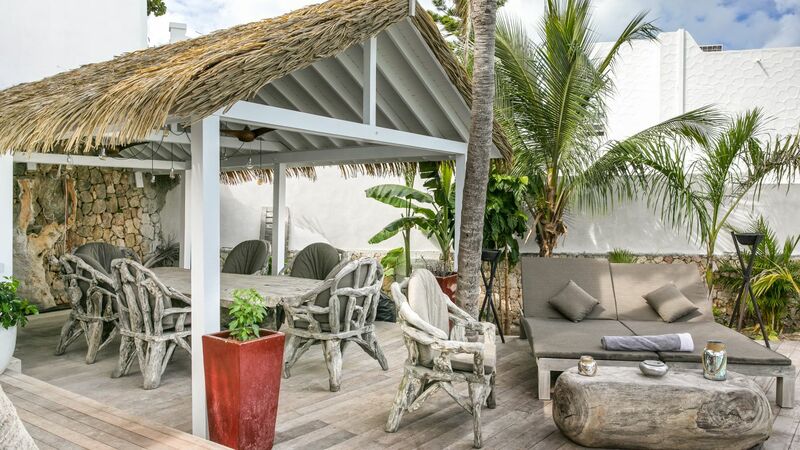 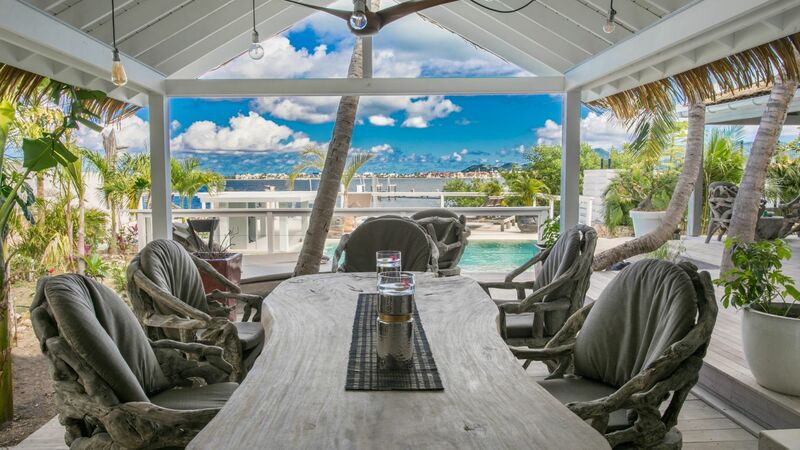 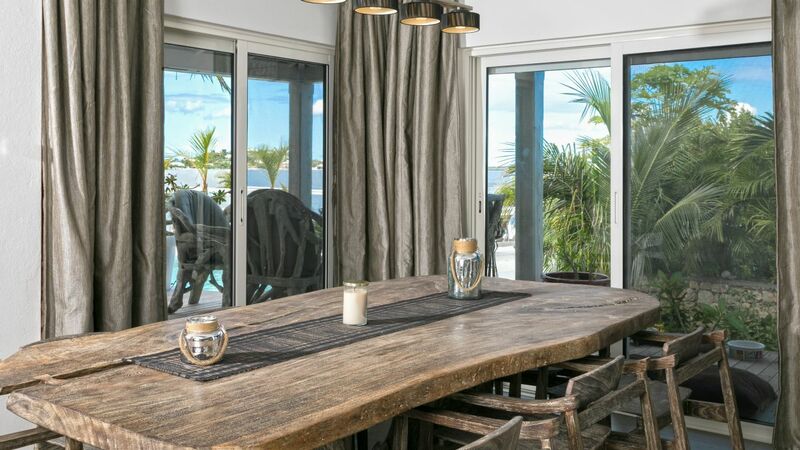 Villa Emilie is an stunning home in St. Martin with five bedrooms ready to accommodate up to ten guests. 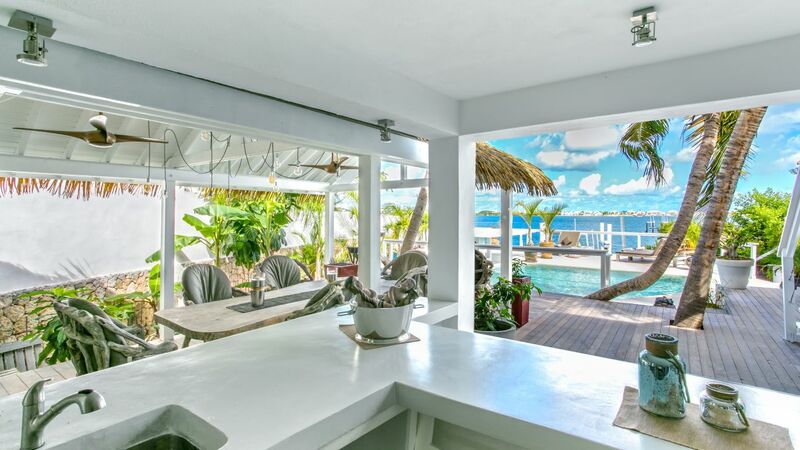 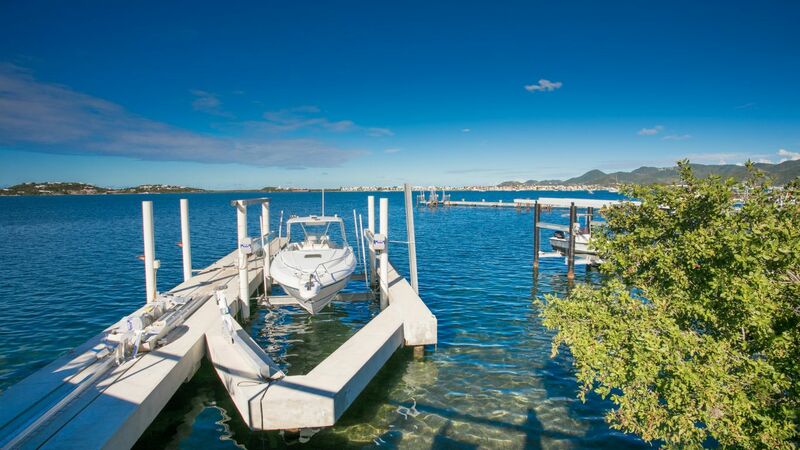 It's just a short drive from Mullet Bay Beach and from shopping and nightlife in Maho. 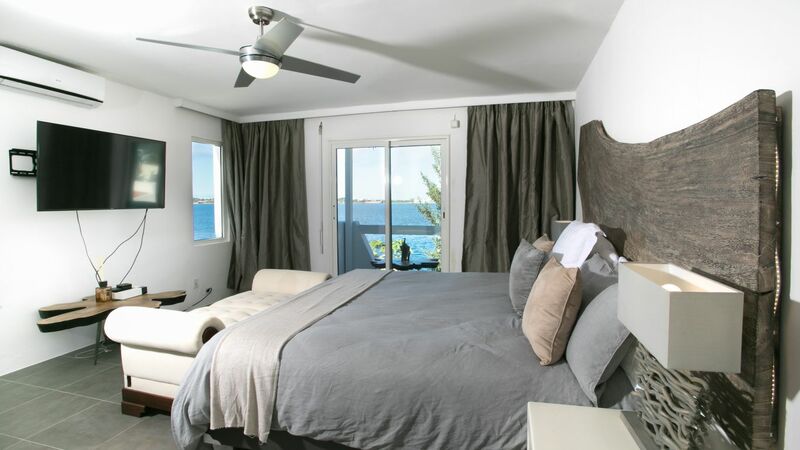 Only 15 minutes out is charming Marigot with even more restaurants, shops, galleries, and historic landmarks. 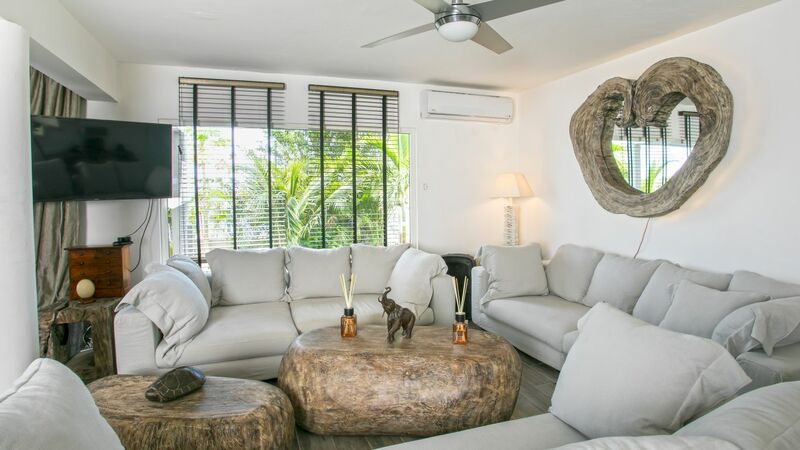 Open, airy, and spacious, this home's living room enhances its panoramic views of the water with natural elements and rich wood tones. 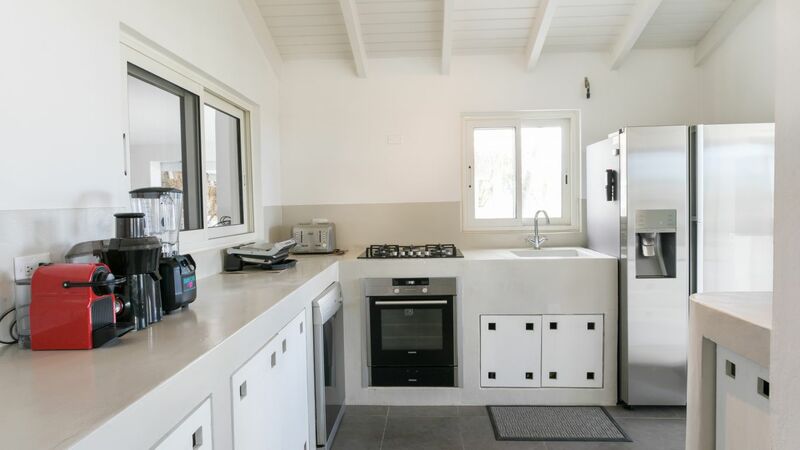 The fully equipped kitchen is ready to both serve and entertain, and there are multiple dining areas where guests can enjoy their meals. 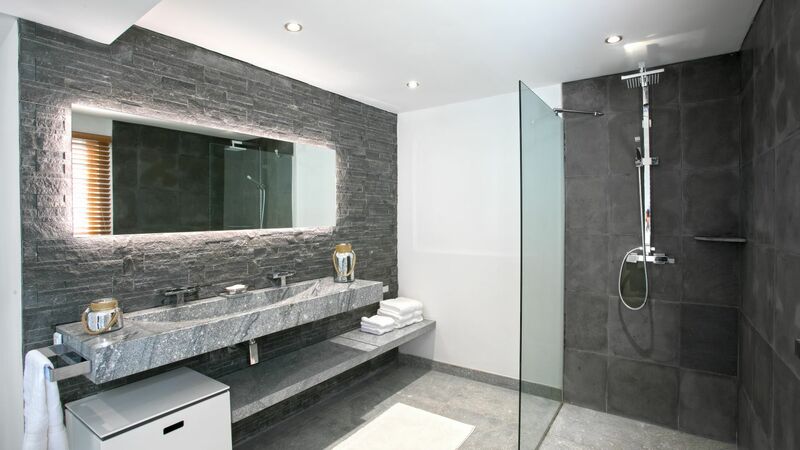 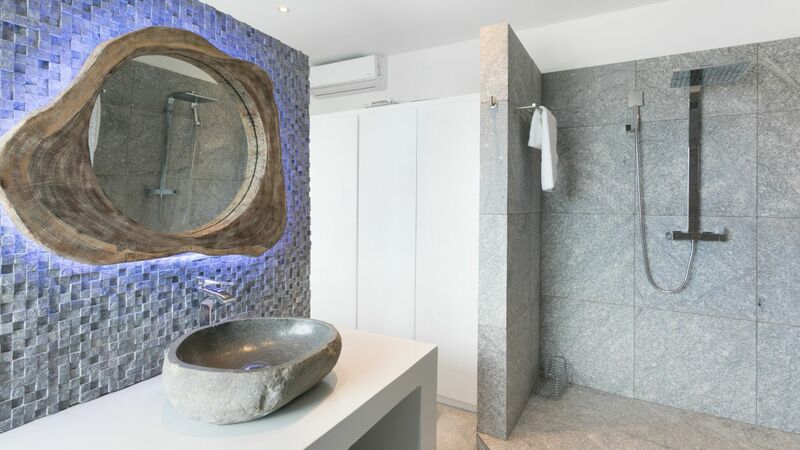 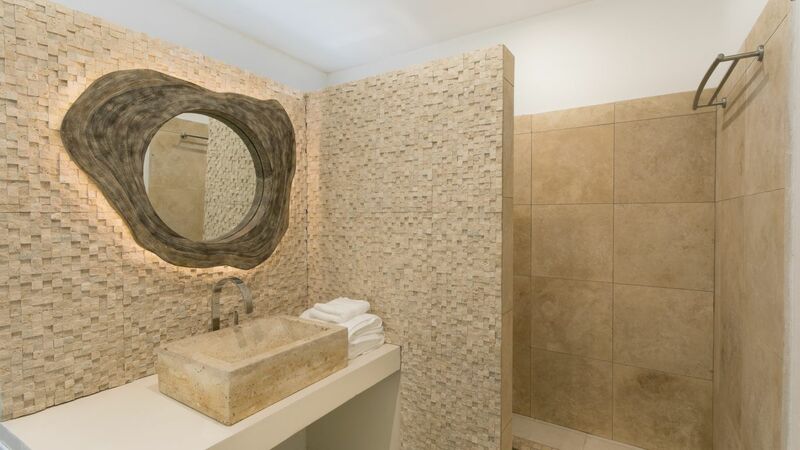 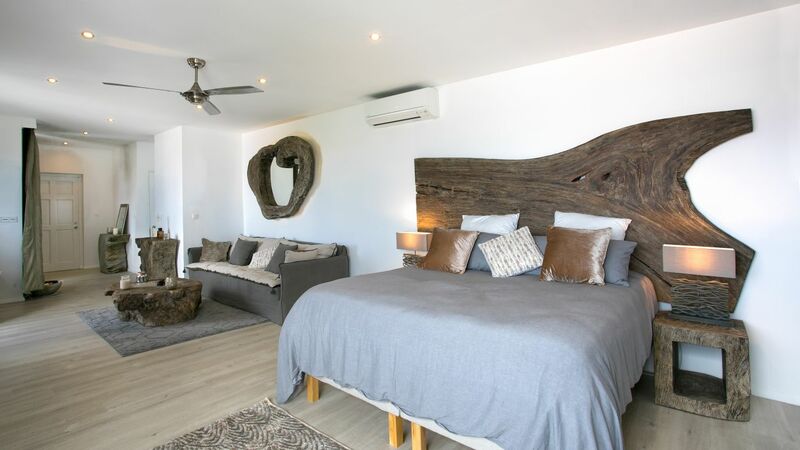 The bedrooms are styled individually and come with en-suite bathrooms. 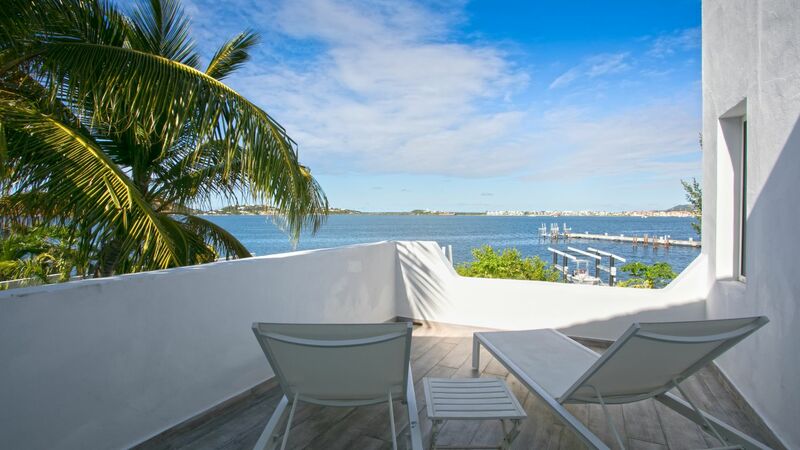 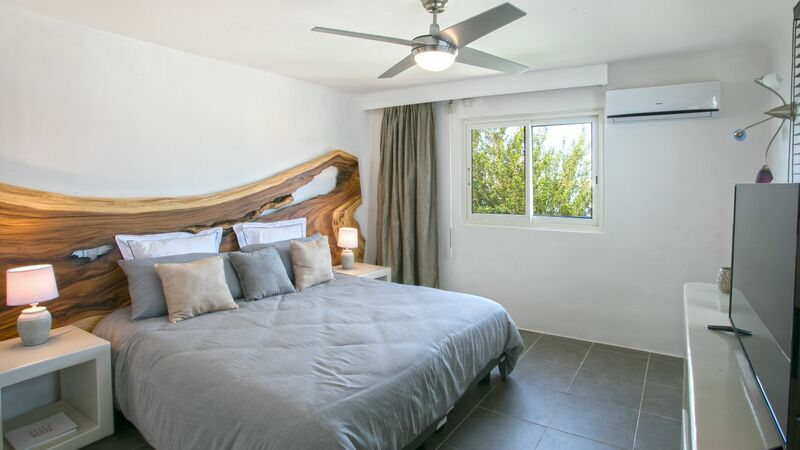 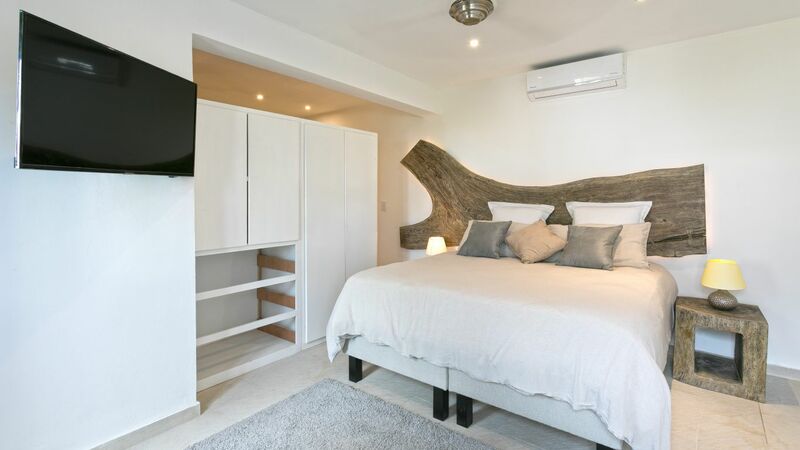 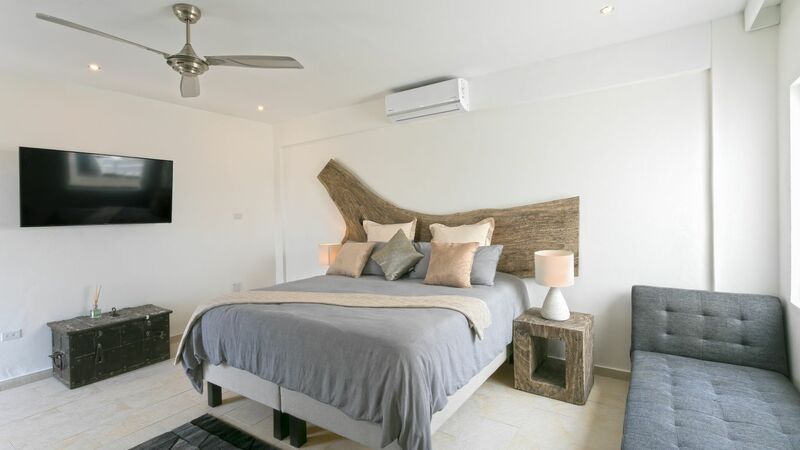 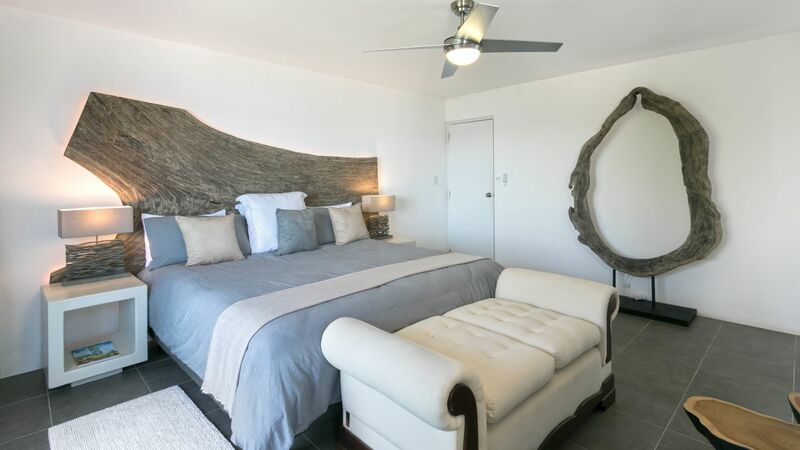 The master bedroom features a king size bed, television, air conditioning, a balcony, and a sunbathing terrace. 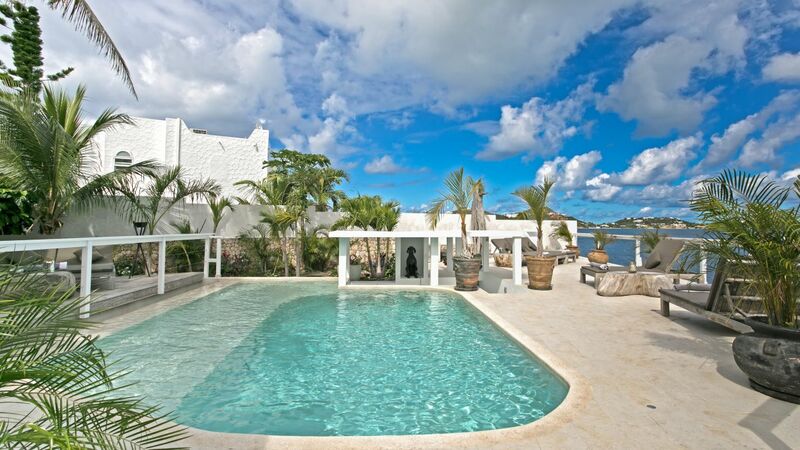 Outside, the lagoon is framed by the villas gardens. 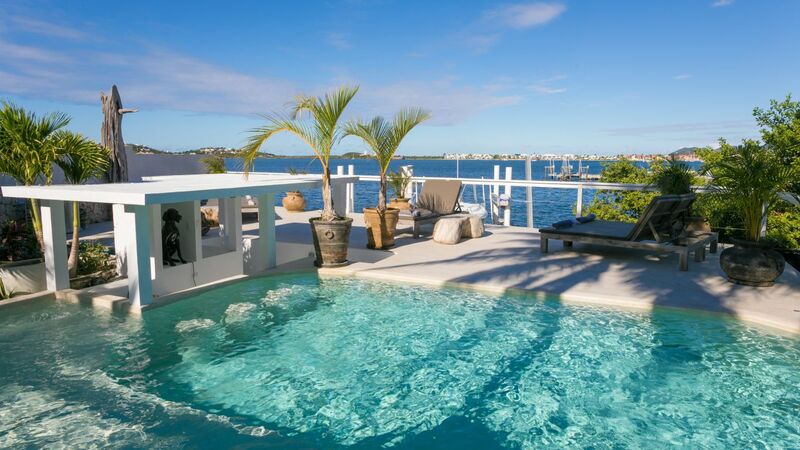 The contoured pool's edges overlap the lawn, with loungers and a pool bar also nearby. 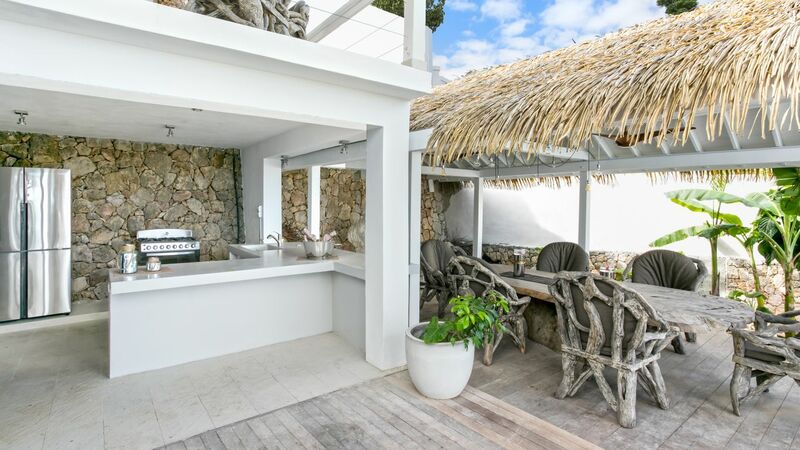 Outdoor amenities are completed by a lounge, dining area, and kitchen. 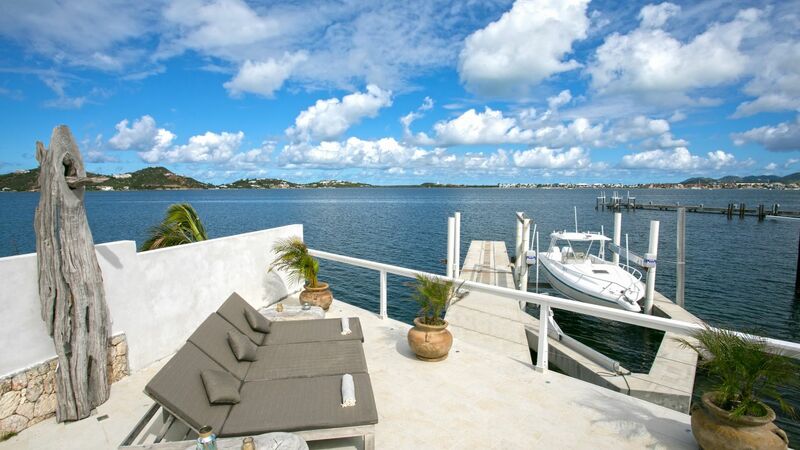 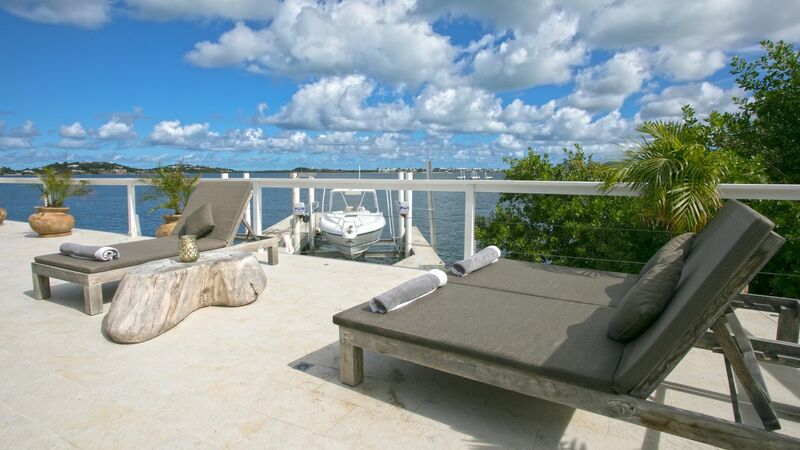 Beyond are its private pontoon and the unbelievably gorgeous waters.